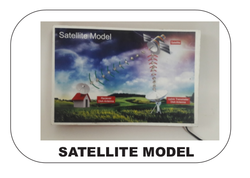 In order to meet excellent quality standards, we are supplying Satellite Model. 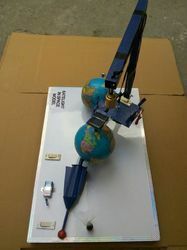 DEMONSTRATION MODEL OF SATELLITE COMMUNICATION: This model demonstrate the signal transmission from one earth station to other earth station through satellite systems. We are a top notch supplier of Satellite Models. Our reputed entity is engaged in supplying Satellite communication process Model. We are a top notch supplier of Satellite Model. We are engaged in offering Satellite Model. Our reputation in the market is largely attributable to our precision-designed Satellite Model.